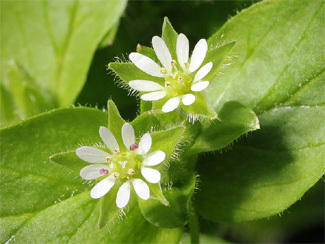 Chickweed is said to curb the appetite and aid in weight loss by emulsifying fat and then getting rid of it. As a diuretic its medicinal properties aide the assimilation of other herbs and help them process and dissolve of fat. My personal experience is that Chickweed is a better appetite suppressant than the over the counter products on the shelf today.